HWY 78 TO SAN MARCOS BLVD. GO WEST TO VIA VERA CRUZ. TURN RIGHT. OFFICE IS TWO BLDGS DOWN ON RIGHT AT THE CORNER OF BOARDWALK. NCT BUS #347 STOPS DIRECTLY IN FRONT OF THE OFFICE. The San Marcos Social Security office is located in San Marcos 92078. The following page includes information for this location like the office phone number, hours of operation and driving directions. If you have any interests or comments about your retirement benefits or are interested in making an appointment, call the following San Marcos Social Security office. 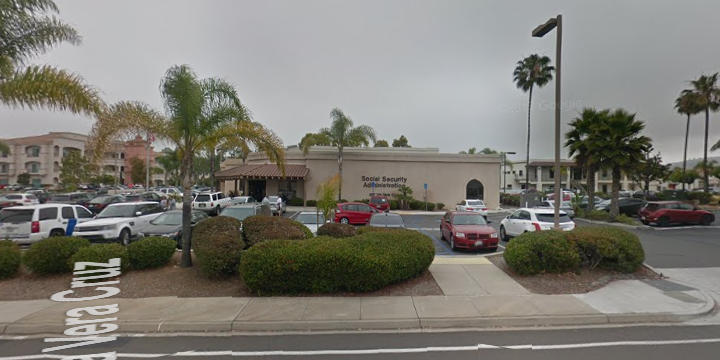 The San Marcos Social Security office is located at San Marcos 92078. The California SSA handles a variety of federally run plans like retirement, SSI, Medicare and disability benefits. The following page contains helpful contact information for this location such as the Social Security office phone number, hours of operation, and driving directions. 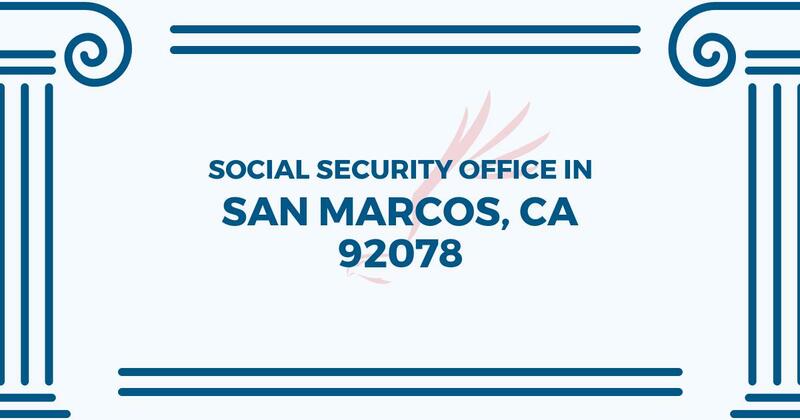 If you have any comments or inquiries about your retirement Social Security benefits or interested in arranging an appointment, call the following San Marcos Social Security office. I visited the San Marcos office on Monday, July 2, 2018. The guard at the entrance did a nice job of identifying those with appointments and processing all others. Once inside, it was a quick process to talk with an agent who determined the reason for your visit and direct you to the person who could help you. I was called within a few minutes and helped by Brett who was efficient, knowledgeable and very helpful. The experience exceeded my expectations and I wanted to commend the office on the overall experience. I paid a visit to the San Marcos office to submit the certified death certificate for my husband and it went so quickly to have the clerk xerox for a copy and return the original to me. I was pleasantly surprised that everything went so quickly. Kudos to the San Marcos office. It’s a well run department.